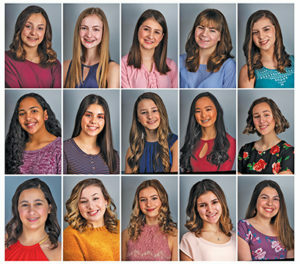 Fifteen teens will vie for the title of Miss New Bedford Outstanding Teen on January 19, from L-R, TOP TO BOTTOM: Marcie Araujo, Emma Boudreau, Ericka Correia, Alyssa Costa, Victoria Fernandes, Kieyana Fleming, Emma Gendreau, Lilly LaFountain, Samantha Masse, Emma Pimentel, Victoria Perry, Juliette Simmons, Alexandra Soares, Abigail Sousa. Photos courtesy of Andrew Gallagher Studios. The Miss New Bedford Out­standing Teen pageant will take place on Sat., 1/19, at 6:00 p.m. at Greater New Bedford Regional Vocational Technical High School, 1121 Ashley Boulevard in New Bedford. Tickets purchased in advance are $20 for adults and $15 for children/seniors. At the door, all tickets for patrons of all ages will be a flat rate of $20. 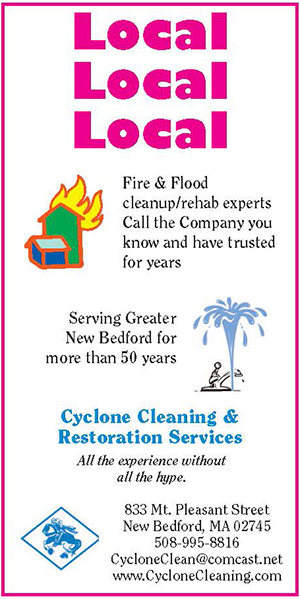 You may reserve tickets by contacting tickets@ missnewbedford.org or 508-971-9564.